I think it’s time for some detox. Do you think so too? 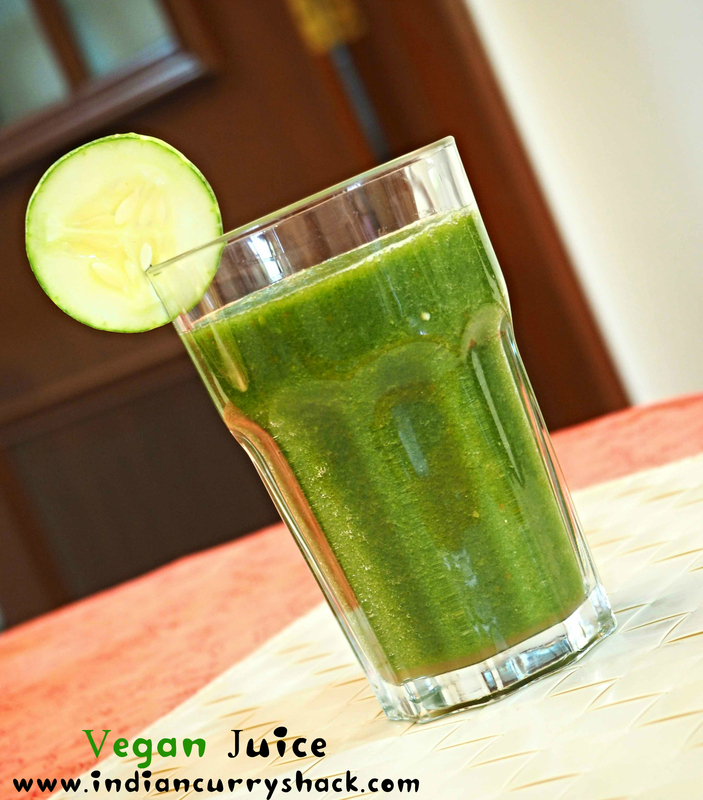 This Vegan Juice is an excellent source of dietary fiber and a whole lot of veggie nutrients. Have it for your breakfast… Yes, just a glass full of vegan juice is good enough to start your day! Blend all the ingredients in a blender with 2-3 tablespoons of water. (We are using a blender instead of a juicer to keep the fiber intact.) Add more water if required. Pour into a tall glass or two small glasses. I love it with a pinch of black salt or chaat masala in it. I agree green is the way – you could add some green tea Matcha powder to take the health creds of this juice to another level!